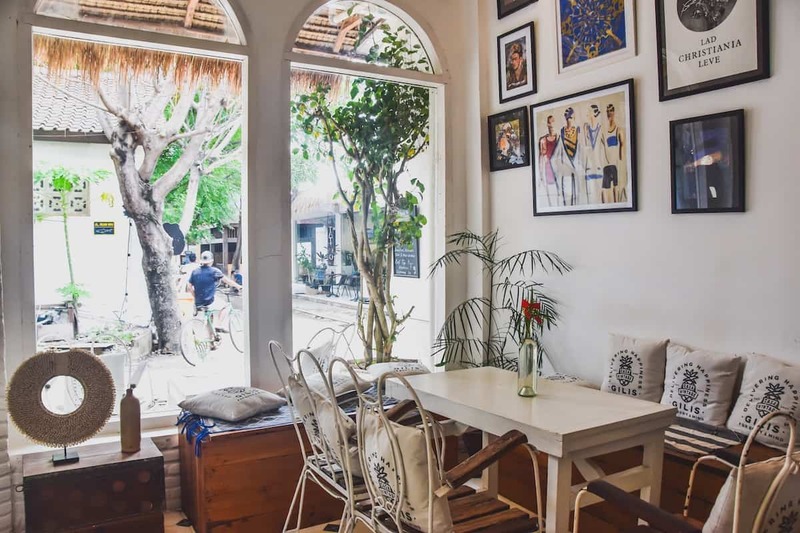 If you loved the cafes in Canggu, you’ll feel right at home at Casa Vintage. This rustic-chic cafe is both elegant and beachy. Tall windows allow for plenty of sunshine and the walls are adorned with Frida portraits and Klimt paintings. Climb the stairs to check out the outdoor seating area and clothing store, full of vintage pieces and accessories, and climb yet another set of stairs to reach the breezy rooftop patio. With a mix of indie and jazz music, Casa Vintage is an ideal spot to work on your laptop or take refuge from the sun for a few hours. 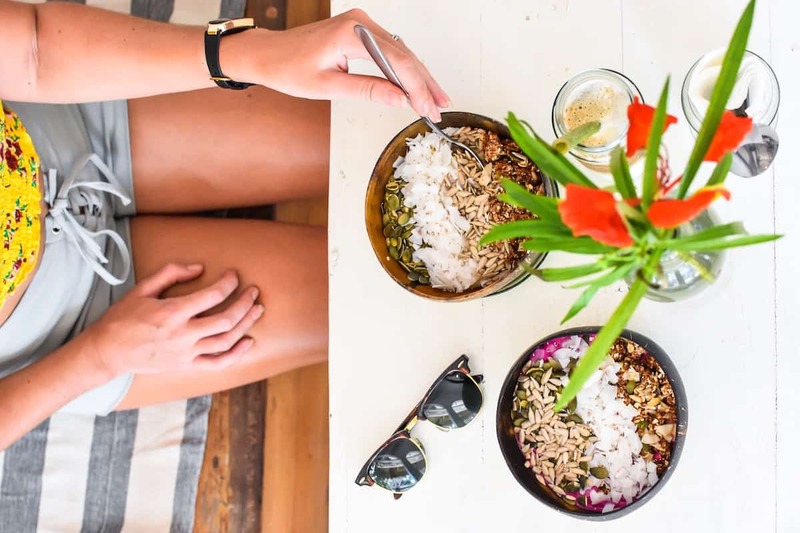 Choose from a smoothie bowl, all day breakfast option, vitality bowl, or one of their delicious mains like the Moroccan stew or ratatouille. 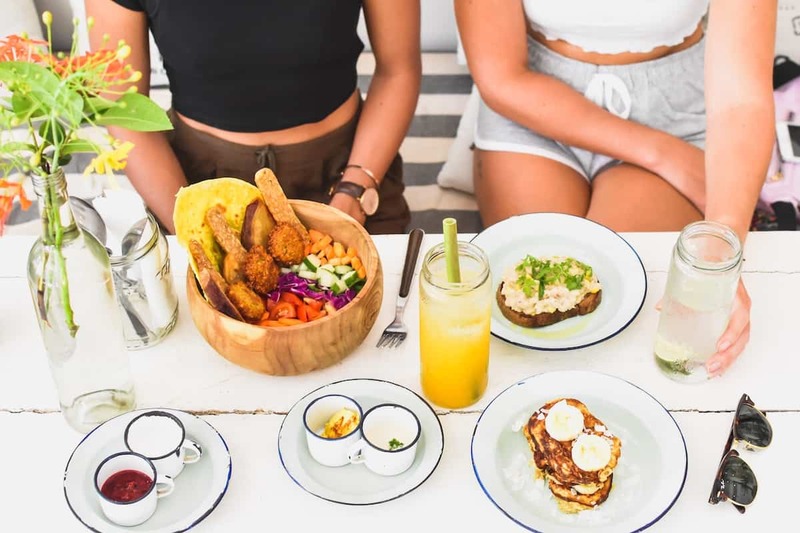 Prices are incredibly reasonable; all the breakfast options are under 45k, smoothie bowls are 55k, and there are a variety of snacks for 39k each. 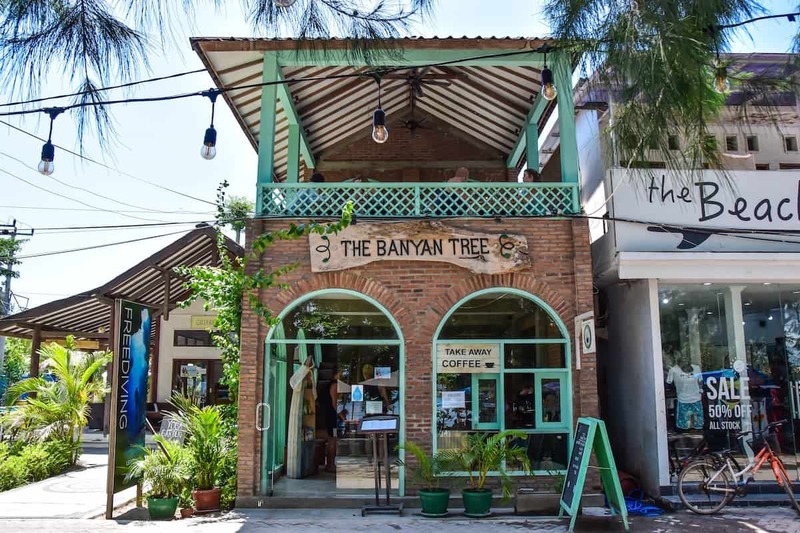 Banyan Tree is a staple amongst expats and tourists alike. 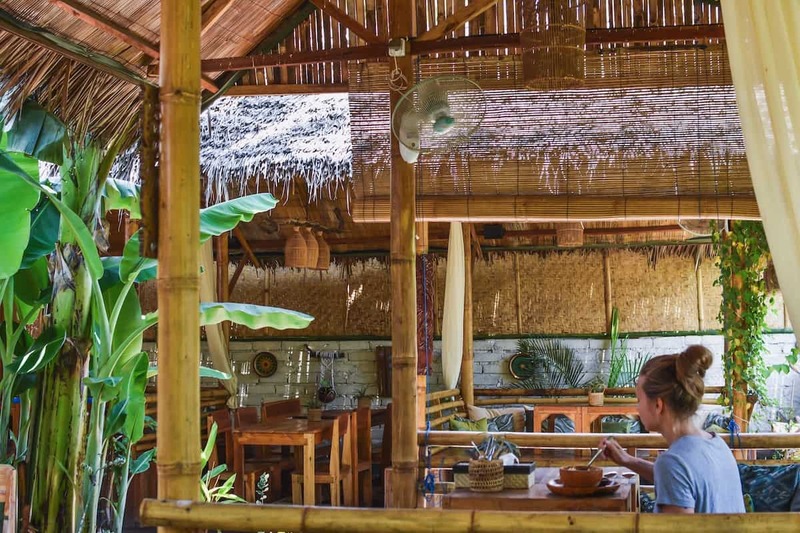 This cafe sits right in the middle of the east side of the island, amongst the hustle and bustle of Gili T. This quaint little spot has upstairs seating where you can eat in the aircon or on their terrace overlooking the beach. 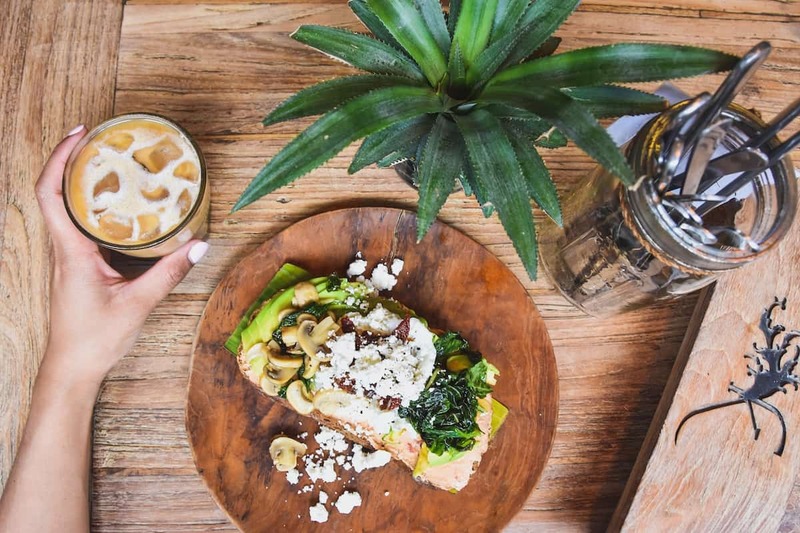 Serving healthy, plant-based food, you can enjoy a plethora of vegetarian dishes accompanied by a slow-pressed juice or delicious coffee. 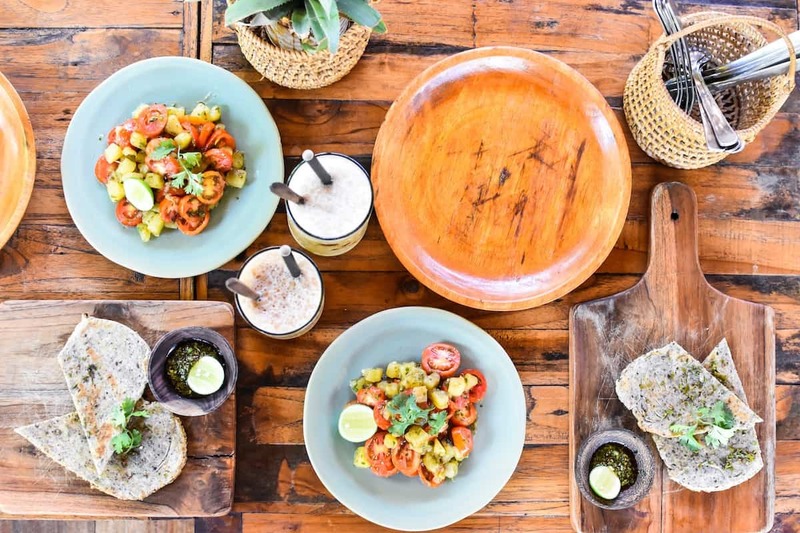 This beachfront cafe has the best of both worlds: Indonesian dishes and vibes, plus western options done right. 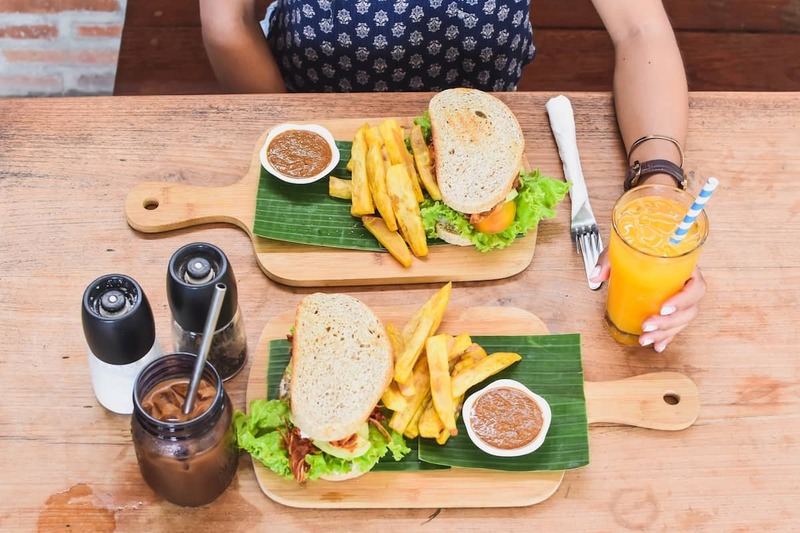 Not only do they offer a variety of healthy and vegan dishes, but they’re also super environmentally friendly. 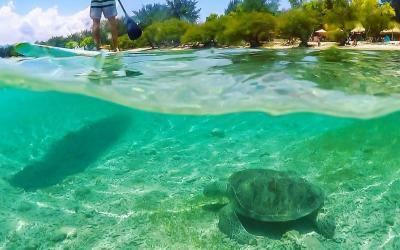 You won’t find any single-use plastics here, as they strive to use alternatives and recyclable options. After a satisfying meal, be sure to check out their desserts (again, plenty of vegan and gluten-free options for the selective eaters). Hang out in the cool, air-conditioned space downstairs, or dine with a view on their upstairs terrace. If you’re looking for some natural and organic products, Kayu Cafe has a variety of lotions, soaps, bug sprays, reef-safe sunblock and more! HelloCapitano is the beach cafe of all beach cafes. 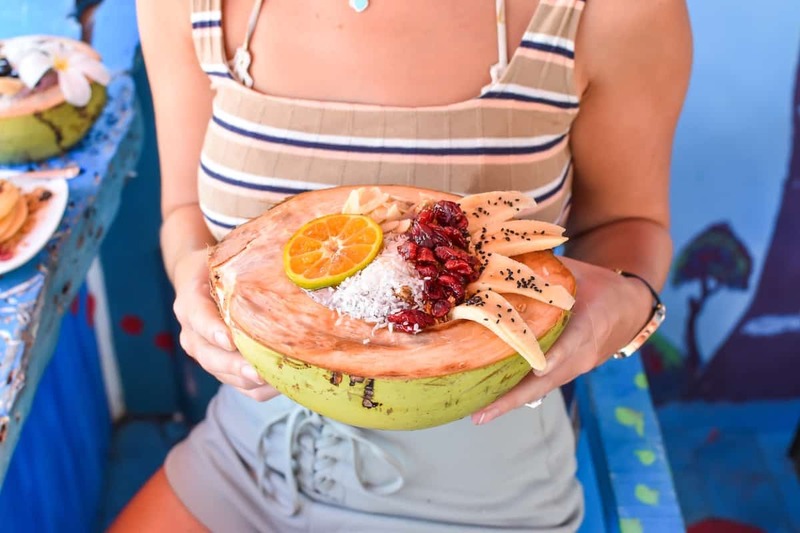 Colorfully painted from top to bottom, this darling little spot is the perfect place to enjoy a smoothie bowl. The open-air rooftop seating area is quirky and welcoming while offering spectacular ocean views. 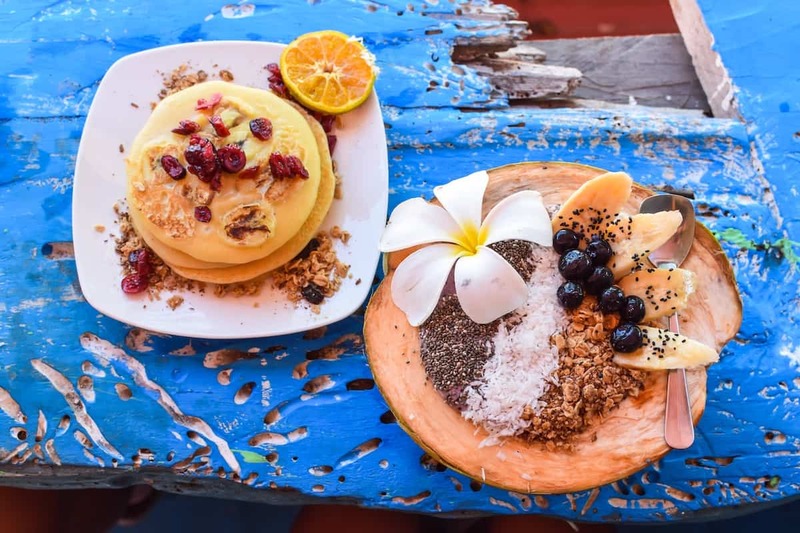 Their menu is healthy and aesthetically pleasing, with a variety of salad bowls, healthy roasts, crepes, pancakes and of course, their perfectly presented smoothie bowls. Match your meal with one of their juices or smoothies, like the Matcha Energy (matcha, honey, lime and coconut water). 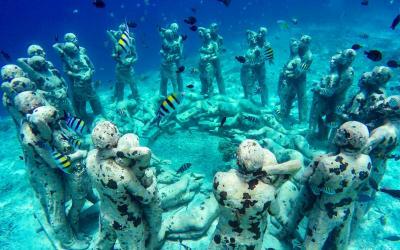 Hours: Daily from 5 a.m. to 7 p.m.
Pituq is a well-known spot in the center of the island. 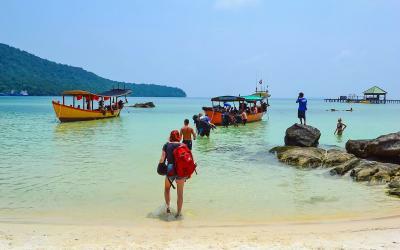 Don’t let the location deter you, it’s well-worth the short trek to get here. 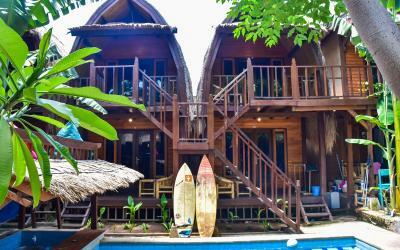 Lounge in bamboo huts in this quaint and cozy restaurant surrounded by greenery. With all vegan dishes, Pituq still manages to capture the hearts of everyone who dines here. Serving small-portioned Indonesian dishes with a modern twist, Pituq uses traditional flavors and ingredients to offer a local dining experience. 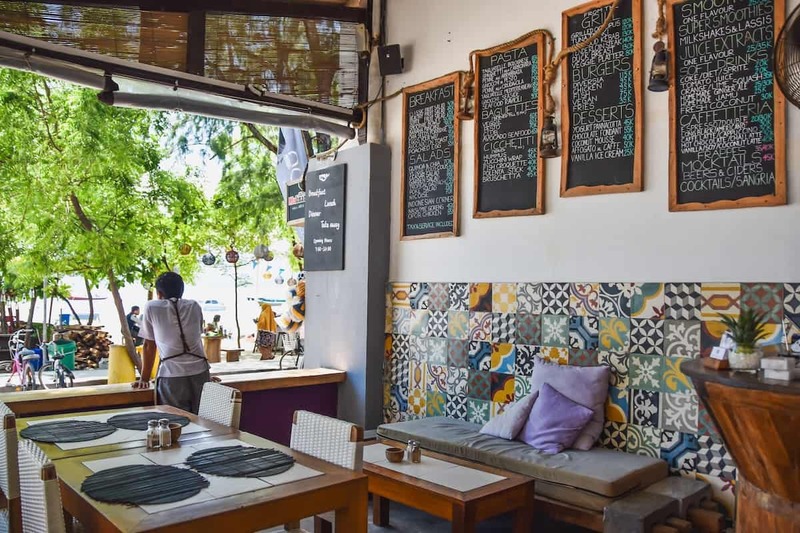 This restaurant also raises funds for victims of the recent Lombok earthquake; you can find a charity shop here to purchase locally made products, and proceeds will help rebuild the homes of the 400,000+ people that were displaced. Pituq also accepts donations if you find that you’ve overpacked and want to lighten your load! 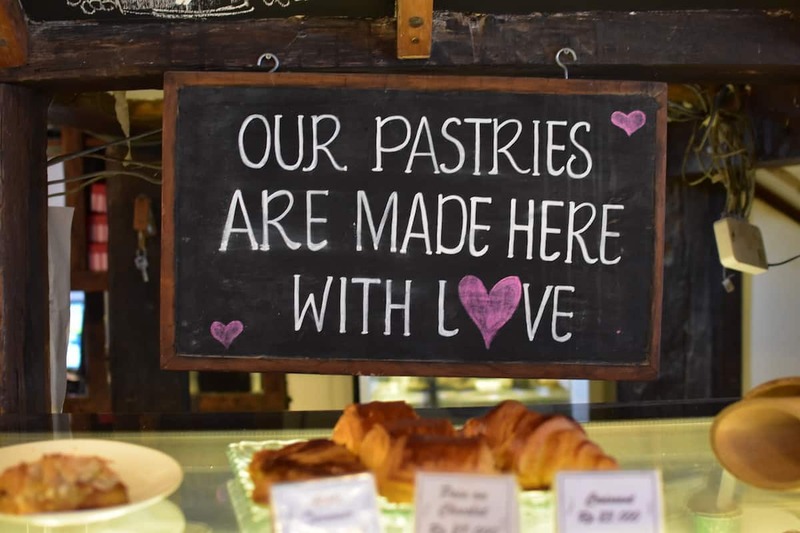 Hours: Saturday to Wednesday from 9 a.m. to 10 p.m., Thursday and Friday from 3 p.m. to 10 p.m.
Start your day off the European way: a pastry and coffee at La Boulangerie. 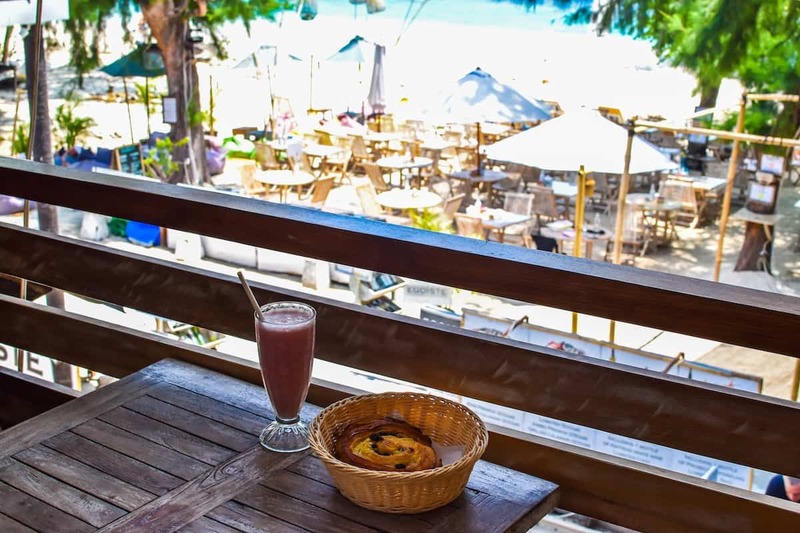 Boasting turquoise-water views from the upstairs dining area, you can enjoy your authentic croissant or pan au chocolate accompanied with the ocean breeze. The menu is small, with a variety of baked goods like quiches, pizzas and desserts for the sweet tooths out there. 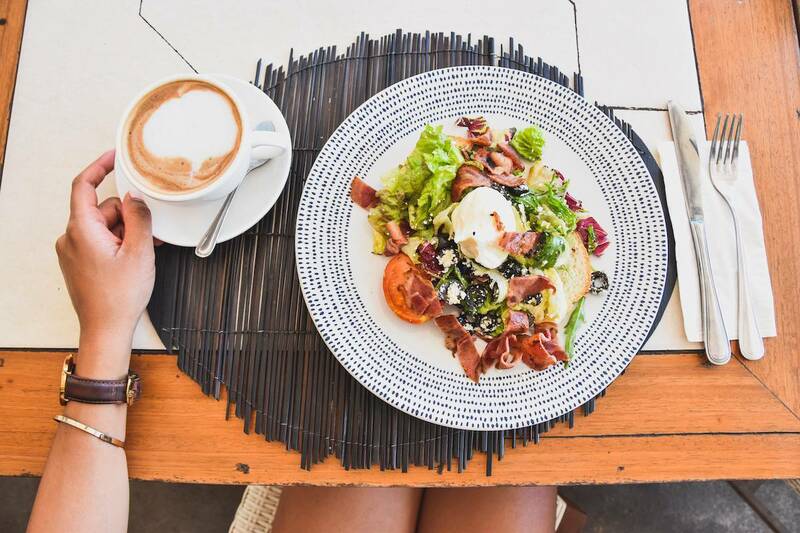 Hours: Daily from 7 a.m. to 11:30 p.m.
With some of the best Italian food on the island, Diversia is the perfect spot for brunch. 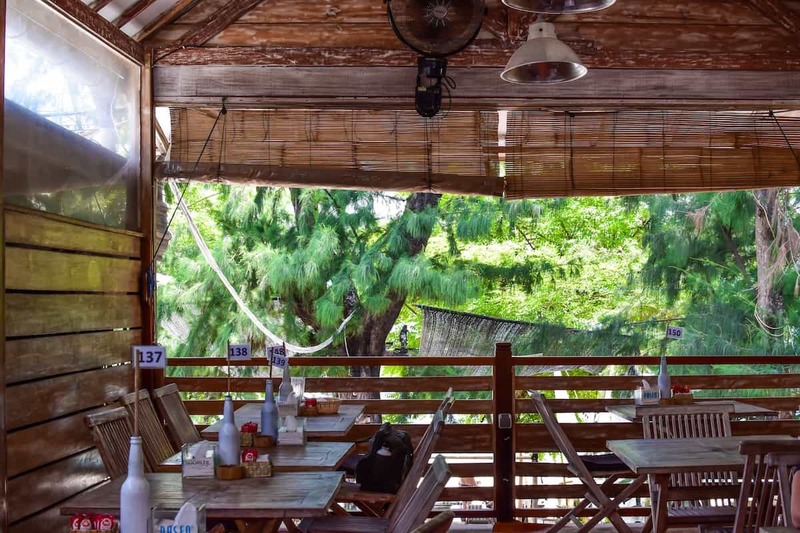 Located on the main strip on the east side of Gili Trawangan, Diversia is an open-air restaurant that sits steps from the sand. 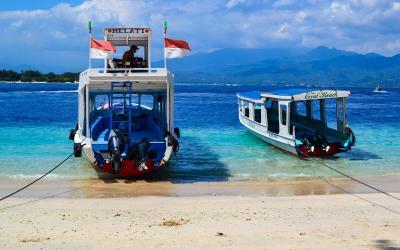 The breakfast options might be limited compared to other cafes on Gili Trawangan, but they’re still equally as tasty. If you’re looking for something hearty, there are many pasta, seafood and Indonesian dishes to choose from! 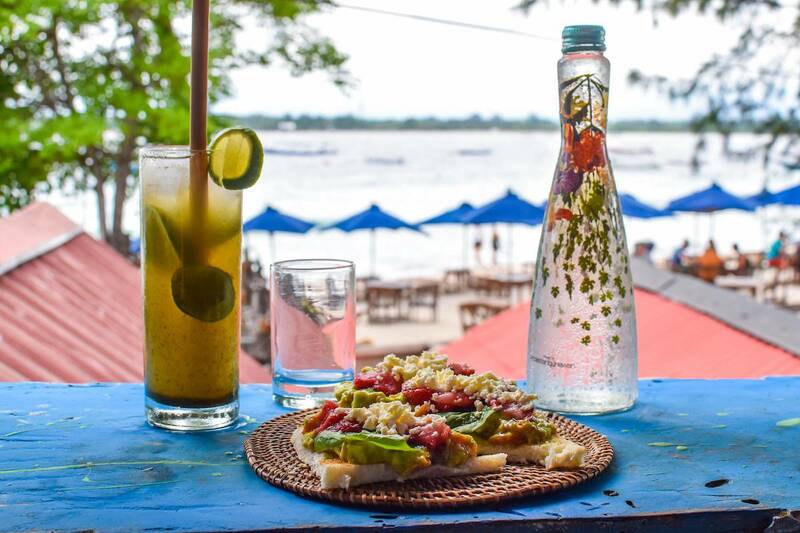 Diversia is also committed to being as environmentally-friendly as possible, with locally-sourced produce and fish, and zero single-use plastics. 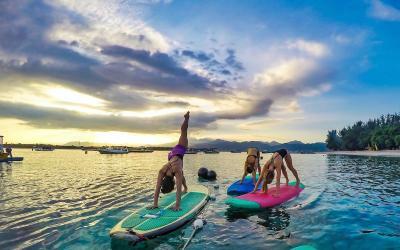 Hours: Daily from 7:30 a.m. to 11:30 p.m.
Did you find this article helpful? 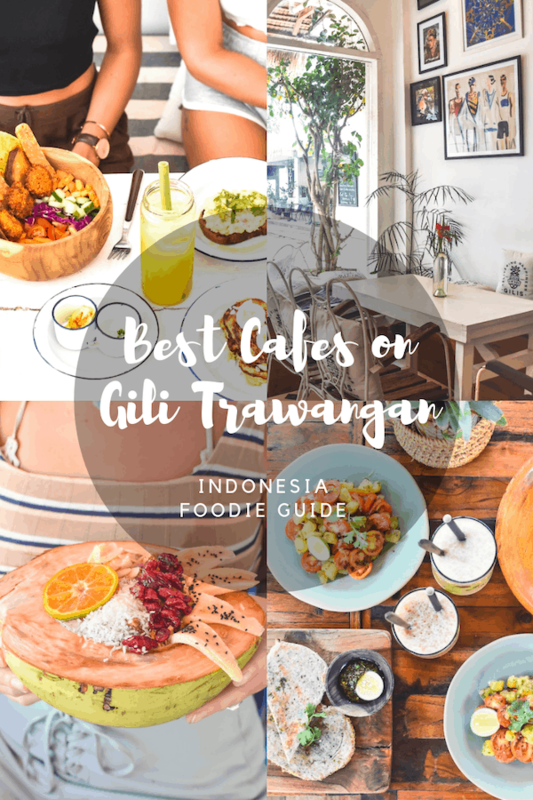 If you’re looking for more Gili T eateries and places to spend your mornings, check out these other articles about where to eat on Gili Trawangan.